Editor’s Note: This post was originally published in 2016 and updated in May 2018. Special thanks to Scott Breece for helping compile this research. Pricing is a SaaS company’s most efficient profit lever, but also one of the easiest to screw up. Nailing your pricing strategy requires more than just picking the optimal price and forgetting about it. It needs to be continuously monitored to ensure you’re effectively landing, expanding and retaining your customer base. And it needs to consider both the rational and irrational sides of how people make purchase decisions. Best practices in SaaS pricing have evolved over the years, and this updated guide is here to help you stay ahead of the curve. It includes the latest and greatest SaaS pricing resources, as well as some timeless staples. The content comes both from OpenView as well as external experts like our friends at Price Intelligently, Simon-Kucher & Partners, OnStartups and Sixteen Ventures. If you need a primer on why pricing is important, here it is. Patrick Campbell of Price Intelligently lays out the case for why a focus on pricing strategy is vital to almost every company’s bottom line. Don’t leave revenue on the table, drive growth by optimizing your pricing. This presentation is packed with information and examples around the top 5 pricing mistakes companies make – are you guilty of any of these? Want to update your pricing? Patrick Campbell deconstructs and walks through the elements of a pricing strategy that enables startups to more effectively acquire customers. According to Campbell, the foundational work behind pricing is to create, test and refine buyer personas so that they’re accurately mirrored on your pricing page. Sometimes, the best way to learn is through example. This article by Patrick McKenzie of Stripe Atlas dives into different companies’ pricing structures and gives commentary on recommended changes to make in order to maximize conversion and monetization. Aligning value with cost is crucial for increasing the bottom line for a company. The core features of a product should present high value and when those features are progressively unlocked with something like tiered pricing, you increase the likelihood someone will pay. Drift’s Dave Gerhardt presents three examples of how companies have successfully or unsuccessfully tied pricing to the value of their products features. Intercom’s Des Traynor offers a framework for viewing pricing and customer targeting to segment sales processes more efficiently. In a nutshell, look at how much revenue you want to earn from each customer and the methods you want to use to attract your customer to build a better pricing strategy. 2018 Update: How to Set Prices That Maximize ProfitUnderstanding the value and costs of your product help you to set the right price. Eric Siu of Single Grain presents a framework in this article for setting prices to help you flesh out how pricing plays into your business’s value and objectives. With all the potential strategies to follow, Tomasz Tunguz of Redpoint Ventures offers his top learnings from the past ten years. He shares his prefered pricing frameworks around strategy, philosophy, structure, and positioning that have served him the best. Time and time again SaaS companies are promising customers that they will save hundreds of thousands of dollars, but their pricing strategies are only capturing a tiny fraction of that savings. Steven Sinofsky explains some of the best ways to carefully pick a pricing strategy for your unique product that doesn’t leave money on the table. The prerequisite of an effective pricing strategy is goal alignment. 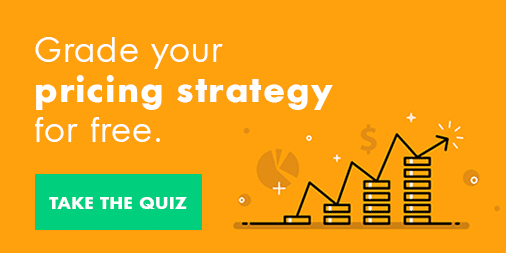 As a startup, are you managing for revenue, market share or profitability? Tom Tunguz explains what each strategy means for your business and which companies have successfully pursued them. SaaS pricing is complicated. Before you make a decision, you need to consider all the angles and keep in mind that it is perhaps the single most important decision a young company can make (no pressure). Software pricing strategist Jim Geisman shares three reasons why software companies often miss the mark when it comes to the delicate relationship between packaging, price, and cost. SaaS pricing is one of the most important (but difficult) decisions a new business makes. The article outlines key themes every founder should think about before they price their product. Critical questions throughout the article will guide the reader in developing an effective pricing strategy. It can be hard in the early days of a SaaS company to price correctly for mid-market and enterprise customers. This article, written by Michael Cardamone of SaaStr, offers three tips on how to price confidently when you are running low on the knowledge that typically amasses after selling to a multitude of customers. Perspective has a large influence on successful pricing and willingness to pay. Learn from past research and look at this article written by Peep Laja of CXL which covers different psychological principles surrounding various pricing strategies. Usually, pricing takes extensive time to optimize and test… but what if you don’t have that luxury of time or resources? Presented here are some relatively simple tests that can be rapidly implemented to give a positive jolt to your growth. The pricing page is a core location for prospects looking to take action. If that page scares them away, you may never see them again. From simplifying the design to building visitor trust and offering a free trial, this article by Sharon Hall of OptinMonster summarizes 20 of the best practices to take into account when building an effective pricing page. ChartMogul analyzed over 100 B2B SaaS pricing pages to look at the trends, standards, and innovation in one of the most important parts of any SaaS website. Take a peek at this article by Ed Shelley to see the full-length screenshots, a look at the data and browse through the findings. Is pricing transparency is something you should strive for? Read this article by Jim McIntosh of Mimir to decide for yourself if publishing pricing allows for a more focused and efficient sales process. Putting prices online seems to be a SaaS entrepreneur’s worst nightmare. So why are the fastest growing companies now doing it? I studied 87 public and private SaaS companies in the U.S. and found four key learnings that companies can apply to their own pricing strategy. Should your company make its pricing public? Find out here. If you love looking at data, this article is for you. It is packed with details on how 386 SaaS startups are pricing, from the number of packages they offer to what CTA’s they use to whether they operate on a freemium model. Our friends at Price Intelligently have been working to help SaaS companies optimize their pricing strategies for years, and they are our go to local resources for all things SaaS pricing related. In this one of a kind, comprehensive study of the market, Patrick breaks down the best practices as well as persistent mistakes companies make in designing their SaaS pricing pages. Check this out plus some of the best SaaS pricing content on their blog here. Now take a look at what NOT to do when it comes to pricing. Fingers crossed your startup did not make this list! All good pricing should start with an overarching strategy. This article embarks on a journey through the three common strategies used to define pricing processes: cost-plus, competitor-based, and value-based. By the end, Patrick Campbell of Price Intelligently comes to conclusion that value-based pricing is the pricing strategy you should be using in your recurring revenue business. Do you agree? Even with a great product and excellent marketing, the wrong pricing model can discourage potential customers from making a purchase. Since there is no specific answer to the question “Which pricing model is the best,” this article by Violetta Zavadskaya of Kraftblick breaks down the various types of pricing models, the fundamental building blocks of them and presents the options so you can choose the best one to fit your business. Pricing based on performance seems like a rational model, but as Tomasz Tunguz of Redpoint Ventures finds, the reality is much different when you dive into the details. Check out this article to see why this type of pricing model may take away a startup’s pricing power. Yet another great piece by Price Intelligently on the need to update your SaaS pricing model – because all SaaS product markets are constantly evolving. They provide a helpful guide on how to do this the right way and smoothly transition your customers onto the new pricing plan. GinzaMetrics founder Ray Grieselhuber argues that arbitrarily assigning low prices is a big reason why many startups fail, and suggests developing a better understanding of the different SaaS sales models as well as offering annual pricing, instead. Is your SaaS business facing a pricing crisis and you don’t even know it? Software pricing expert Jim Geisman shares three tips for developing a tiered pricing structure that clearly communicates the value of your various product options or editions. Value-based pricing is the way to go, but how do you define it and implement it correctly? Patrick Campbell of Price Intelligently dives into this with an instructive example from Wistia, a Boston-based video marketing software provider. SaaS entrepreneur and VC David Skok explains how to create scalable pricing using multiple pricing axes, and discusses the different types of axes that can be used to capture more revenue without putting off smaller customers that are not able to pay high prices. Product led companies like Expensify and Dropbox typically strive to get their product into the hands of users as quickly as possible – which often means giving some value away for free. Walk through freemium and free trial approaches and learn how to monetize a free user base. With the various types of pricing models in SaaS, the freemium model seems to be something of an anomaly. To understand the nuances better, check out this article by Sadhana Balaji of Chargebee. Freemium fell short in B2B and from its ashes rose the Product Qualified Lead (PQL), argues HubSpot executive Christopher O’Donnell. He explains what is a PQL, how to understand the PQL spectrum and how to get started with PQLs. For more and more SaaS companies, the product drives their growth. Learn why product led growth makes for a cost-effective route into enterprise customers compared to the traditional field sales, and how to create a steady stream of product qualified leads. Is Raising Prices the Simple Key to SaaS Success? If you’re offering freemium in hopes of increasing customer acquisition, you might want to reconsider your pricing strategy. Learn how raising prices can actually result in more profitable customers and higher retention rates. For many SaaS companies, offering free trials and freemium plans is a no-brainer. But according to one SaaS entrepreneur, going in the opposite direction might actually do more for your bottom line. 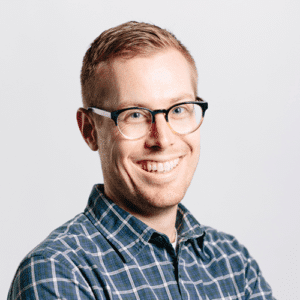 SaaS strategist Lincoln Murphy describes how one company adjusted their SaaS pricing model by raising prices 10x — and is getting not only a boost in revenue, but happier customers in the process. It’s incredibly common for startups to initially undercharge for the product only to realize their foot-in-the-door price was too low and they’re leaving money on the table. Raising prices without causing sticker shock can be difficult, but Google’s Gmail for Business provides a great example of how to do it the right way. As this story of a young entrepreneur illustrates, it’s entirely possible for companies to compete with free alternatives — it’s all about delivering the better product. Read how Hubstaff learned (the hard way) that free is not always good and why charging, even if only a miniscule amount, leads to better customers and more profitable growth. Pricing is all about the value your customers place on your product. Studies compiled by Gregory Ciotti show how psychology intertwines with value. This article is packed with useful tips and tricks, such as the power of 9 and why context is critical to price-value perception. Florian Bauer, principle at the management consulting firm Vocatus, explains why behavioral psychology is so important to take into consideration for pricing and how lessons from psychology can be applied to early stage startups. The all inclusive guide on every psychological pricing tactic you can think of. This comprehensive, well-organized guide walks through each tactic one-by-one and points the reader to related resources to learn more. To counter the unpredictable costs of serving enterprise customers, you need to develop a rational, evolving, and effective pricing structure and licensing model. In this series, Tien Anh Nguyen discusses the importance of optimizing your prices to power growth, developing a long-term view and focusing on value. At the enterprise level, discounting SaaS contracts is expected, not optional. SaaS veteran Jason Lemkin explains how, when and why to build discounts into your pricing without harming the bottom line. HubSpot co-founder and CTO Dharmesh Shah shares his tips and ideas around pricing enterprise software, stressing the importance of bearing the hidden costs of enterprise software sales and leaving yourself a way to adjust your prices over time. This presentation from Jacco vanderKooij explains why, if you want to effectively sell a SaaS solution in the enterprise, you need to adopt a different methodology. 2018 Update: Netflix Quietly Perfected Their Pricing. Here’s What You Can Learn. In 2011, Netflix unveiled a change in pricing that put them in trouble. In 2017, Netflix rolled out another price change, but this time it was a colossal success. Learn how they succeeded the second time around. 2018 Update: It’s Price Before Product. Period. The wrong price can sink a great product. This article explores various examples and best practices of pricing strategies through the eyes of Madhavan Ramanujam, a board member and partner at consultancy Simon-Kucher & Partners. From Porsche to Microsoft, companies of all sizes should pay particular attention to how they construct and present pricing for their products. If you have ever visited the Salesforce pricing page, you know it is a behemoth packed with every feature you could imagine with a breakdown for each plan, but is that an effective strategy? Go through a journey with Patrick Campbell of Price Intelligently as he deconstructs Salesforce’s pricing page and gives critical analysis of what’s working and what isn’t. This article by James Wilton of Sales Benchmark Index discusses Uber’s past attempt to price differentiate based on willingness to pay for certain routes. See the mistakes Uber made with value and pricing, and what you can learn from it for your B2B SaaS company. It’s extremely unusual for a SaaS company to credit a company subscription for reduced use. Slack’s innovative software pricing model has disrupted other long-standing models that have become the norm. Are you ready to shift to the bleeding edge of software pricing? The big guys like Google and Amazon have built great businesses to be sure, but they’ve also had their share of new product failures. Simon-Kucher’s Madhavan Ramanujam, the author of Monetizing Innovation: How Smart Companies Design the Product around the Price, explores the four most common reasons why new products fail and how to avoid them. The secret: have in-depth pricing discussions with target customers at the beginning of the product development process. While Apple is considered one of the leading innovators for all things tech, the announcement of Apple Music seemed behind the times. Take a look at why Apple’s pricing strategy may be holding them back in the streaming music industry and what you can learn from their mistakes. For years, no one has questioned Apple’s product or premium pricing strategies. But now, in the face of increased competition from Samsung, Google, HTC, and Motorola cutting into the iPhone’s market share, the company is revisiting its strategy with the iPhone 5S and 5C. What lessons can SaaS companies learn from Apple’s gamble on price? When Netflix announced it would once again alter its pricing model in April of 2014, it was clear that the company was going about price change in a much more strategic manner. Learn the three tactics startups should consider when releasing a new pricing model. Rolling out a new pricing model is a touch issue, especially when it involves increasing prices or moving towards usage-based prices. Here are five lessons on developing and implementing pricing strategies that you can learn from recent moves by Verizon, Netflix, and Major League Baseball. OpenView surveyed more than 1,000 SaaS leaders in 2017 to better understand how they approach pricing. We uncovered a lack of maturity around product pricing in general. Take a look at this infographic to see how you compare. The SaaS market is maturing and artificial intelligence, according to one report, is threatening a key pricing model that cloud software is built on. Check out this article written by Tony Lystra of Geekwire to discover how Artificial Intelligence continues to shape the pricing structure of modern Software-as-a-Service companies. Should you publicly display your pricing or hide it behind forms and other methods? OpenView showcases the trend of SaaS companies moving away from visibly presenting pricing and builds a case for why this lack of transparency is the wrong direction to take. Did you know that more than half of SaaS companies have no one focused on pricing? Chargify gathered insights from pricing leaders to help you out. Get expert advice in this article. What did you find the most useful in this guide? Did we miss anything? Let us know in the comments.